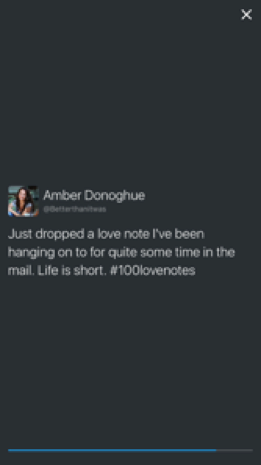 I was scrolling through the Moments section on Twitter today and came across #100LoveNotes. It was such a touching story, I just felt the need to write about it… especially since I love the fact that it is something positive that is being spread like wildfire. There needs to be more stories like this in the world. 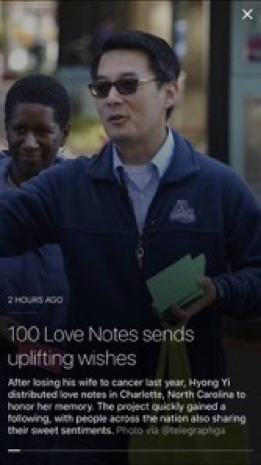 I first noticed the story while browsing Twitter Moments and saw the title “100 Love Notes sends uplifting wishes.” From there, I was able to read more about Hyong Yi, a man who lost his wife to cancer last year. 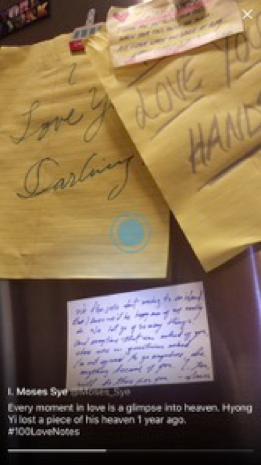 A year after her death, he wrote 100 love notes to her and handed them out to others on the street. This is so beautiful to me, sharing his love for his wife with others, spreading love and positivity in her honor. What I love about this is that the love being shared is contagious. 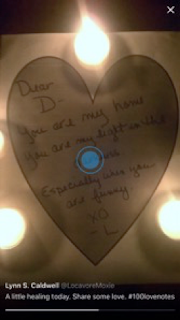 Scrolling through this Moment’s stream, I see more and more love notes created by others. I see Tweets from people saying how they shared their love with someone today. It is such a positive reaction; I can’t help but smile. In a world full of negativity and tragedy, this is a truly beautiful thing. We sometimes get too caught up in life to realize that it is so short. 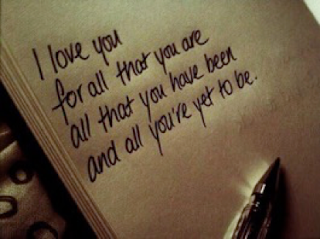 We need to take the time to share our love with others. Send a little love note to someone you care about, write an uplifting little note to hand to a complete stranger. The possibilities are endless and the end result is incredible. 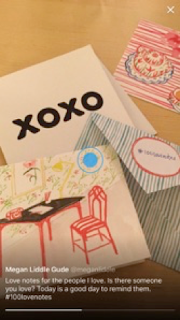 Imagine how nice it would be to receive a love note from someone every day; now imagine making someone else’s day better by doing the same for them. It’s funny how this post all came from just browsing the Twitter Moments, but I think that is what is so great about the new feature. It gets us talking about the things that are important to us. It is a way to learn something new or read about something that you would have never noticed was going on without seeing it on your feed. 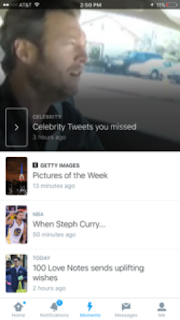 Do you use the Moments feature on Twitter? If you do, what is a Moment that you enjoyed catching up on? Let me know, I am always looking for new things to read or look into! 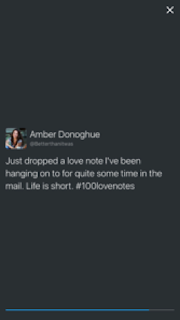 Disclosure: This post was sponsored by Twitter through their partnership with POPSUGAR. 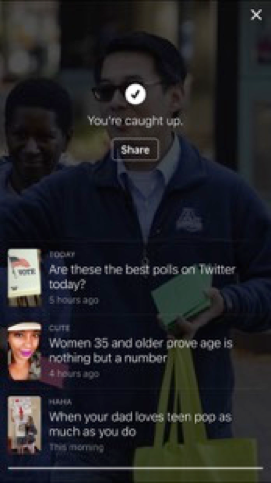 While I was compensated by POPSUGAR to write a post about Twitter, all opinions are my own.